In addition to a range of business and professional services, incubatees get up to HK$500,000 support over 24 months. Incubatees can participate in the programme on-site at Cyberport, or off-site at their own premises. Applicants must be a company registered and incorporated in Hong Kong less than 7 years upon application deadline of the programme. On-demand learning app Snapask connects students with qualified tutors. An environmental friendly and battery free one-touch wireless control solution for multi-purpose phone control. A social network focused on building a network connecting the entire financial service professional industry worldwide. 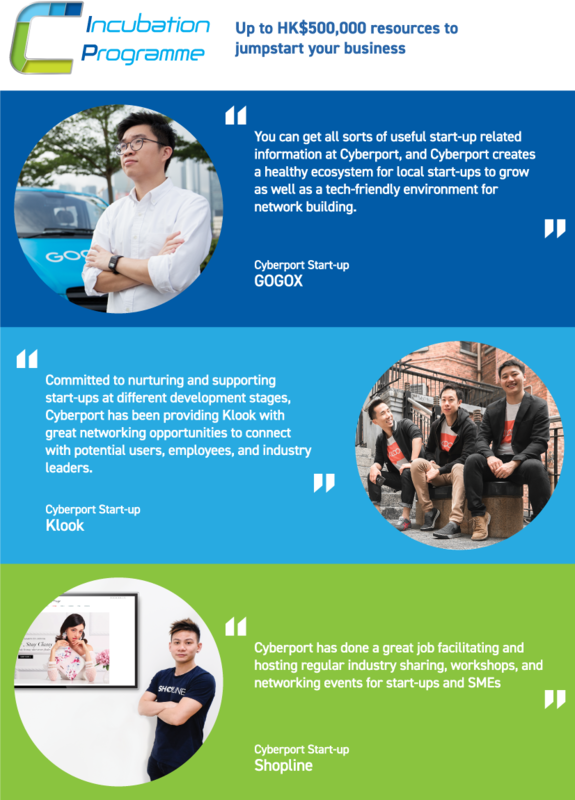 Note: Applicants are required to submit online applications via Cyberport Entrepreneurship Management System. Please check out the Incubation Guides and Notes for Applicants before submission.